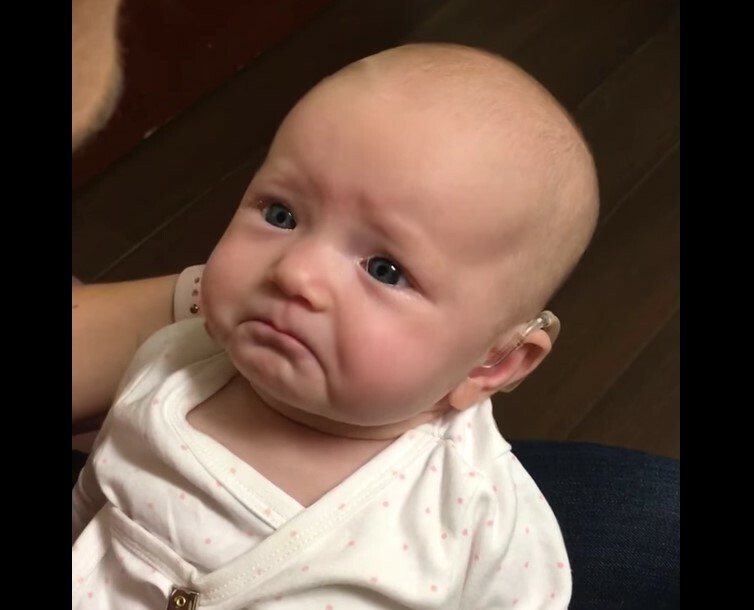 Babies reacting to different things for the first time are just too adorable not to melt your heart. 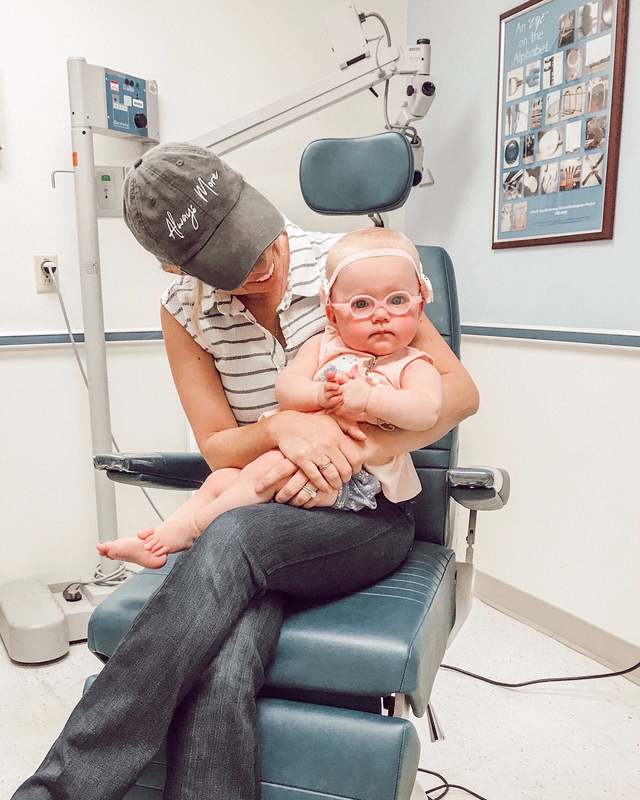 But what really made our hearts fill with joy was seeing babies with an impaired sense that finally got a chance to see or hear their parents and the world around them! Whether they heard their parents’ voices or the saw them better with a pair of glasses, the moments that were filmed are truly impressive. The same is baby Charlotte’s tear-jerking story. 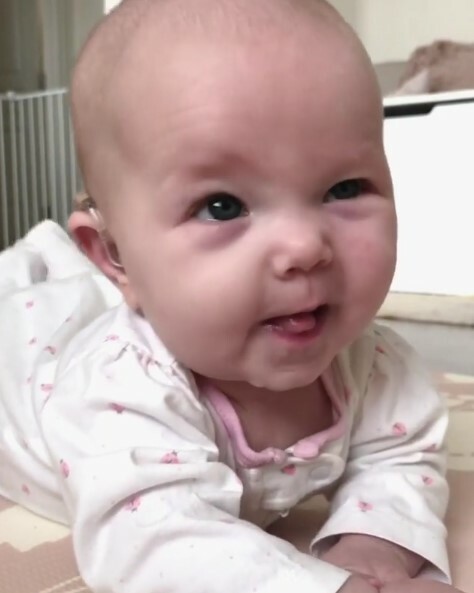 Charlotte – or Charly as her family calls her, was born deaf… But her parents struggled to make life a wonderful place for their baby! The diagnosis was confusing. 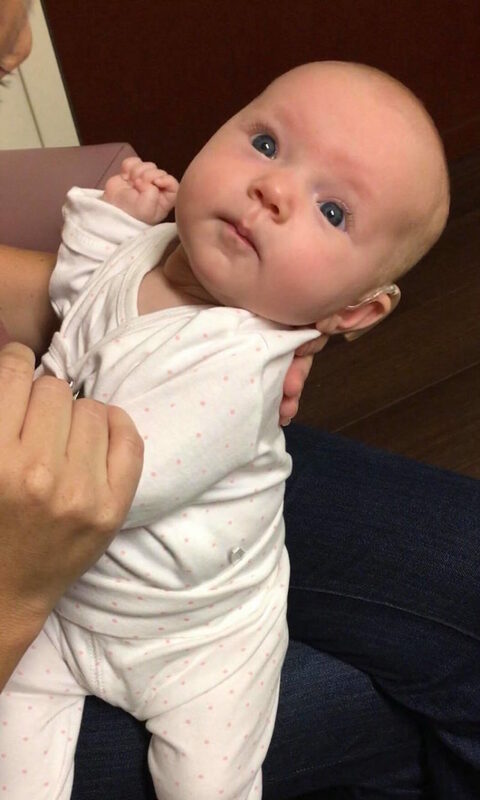 The baby had a bilateral profound congenital hearing loss, which meant that Charly couldn’t hear anything. Neither Christy nor her husband had a history of hearing loss in their families. 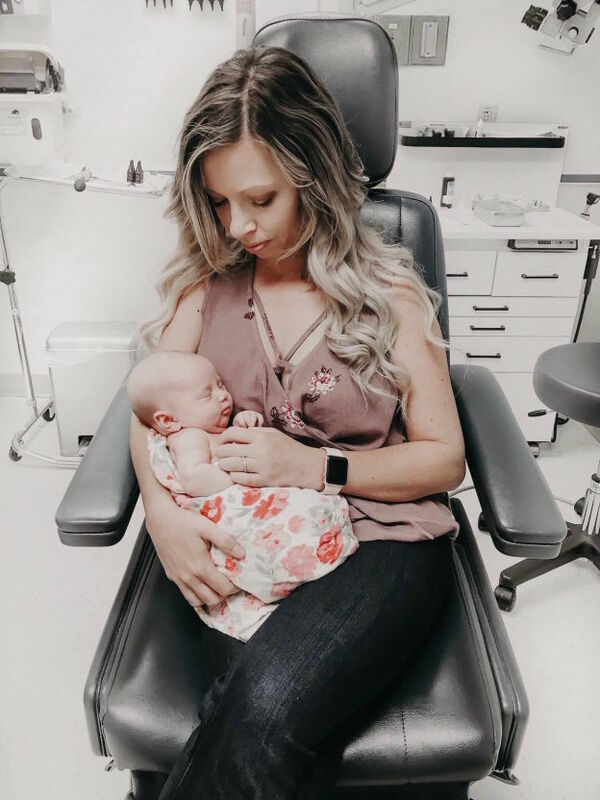 Although the family was shocked when hearing the news, Christy was ready to know more about the condition and do whatever they could to make their baby happy. Her next words made us reach for the tissues already. “You won’t hear us tell you ‘I love you,’ but I promise you will feel it. 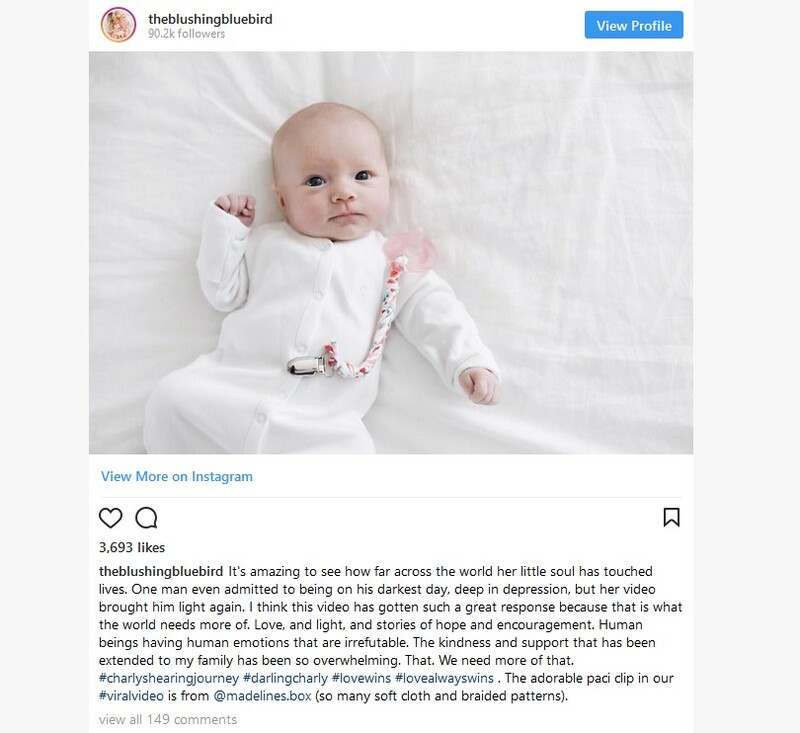 With every touch, look, and smile, you will feel our love surrounding you sweet girl,” said the mother in the caption of an Instagram photo. But then, this happens! 16. She Gets Her “Magic Ears”! A little time after Charly grew stronger, the mother gives her hearing aids that would help Charly hear. 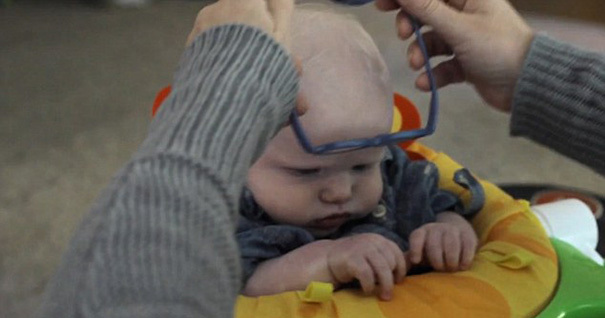 Nobody knew how the baby would react, because these aids just amplify sounds. The baby’s reaction is incredible! The parents were waiting to see if their baby would respond to the sounds. The whole moment was caught on camera, and we’re all lucky to see Charly’s reaction because it’s absolutely amazing! Keane keeps talking to Charly to see if she reacts: “I’ve never seen that face before! Are you emotional? You’re gonna make me cry! I love you. I love you!” The baby pouts and smiles and raises her brows! 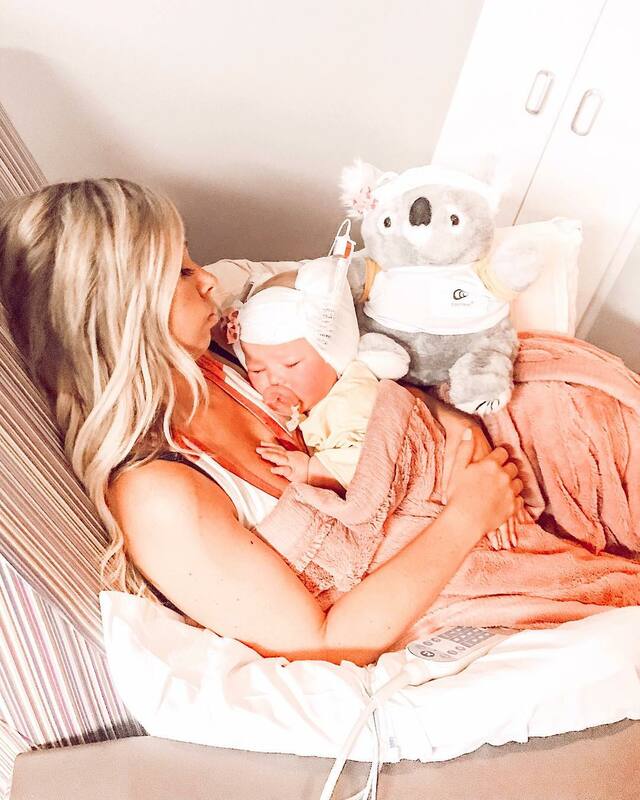 The mom then shares her story on Instagram, updating her friends on Charly’s situation. She explained that they were all prepared for no reaction from Charly, “so imagine our surprise and delight when she gave us such heartfelt emotion. She is amazing!” What happens next is even more amazing. 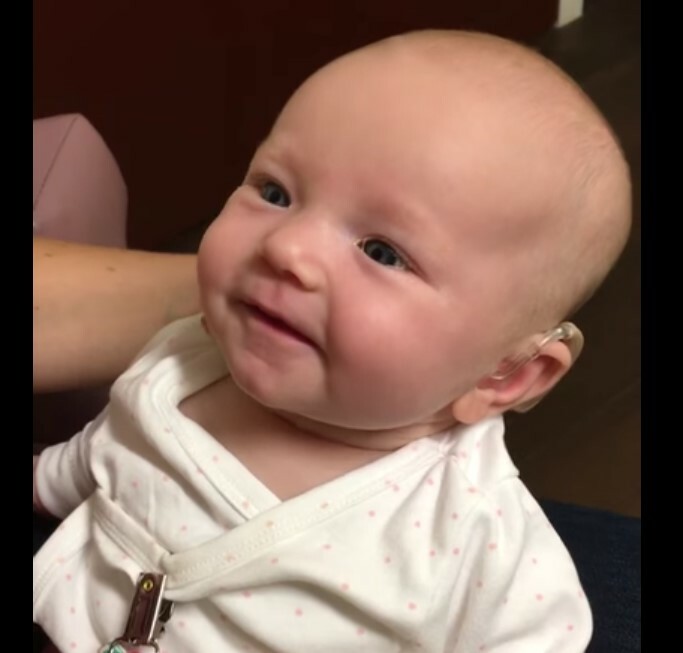 Keane explains that Charly’s “journey to implants and language development is off to an amazing start!” They said that the next step would be to see if they can try cochlear implants. Months later, Keane has an awesome update. 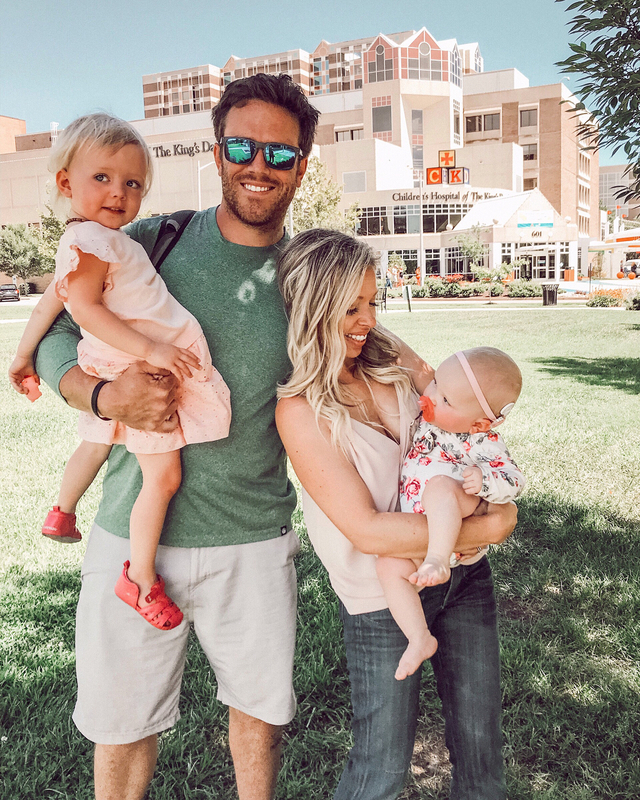 Initially, the happy mom of two awesome daughters only shared the video with friends and family. But then, they all encouraged her to make the post public. You won’t believe how much it impacted the whole world! 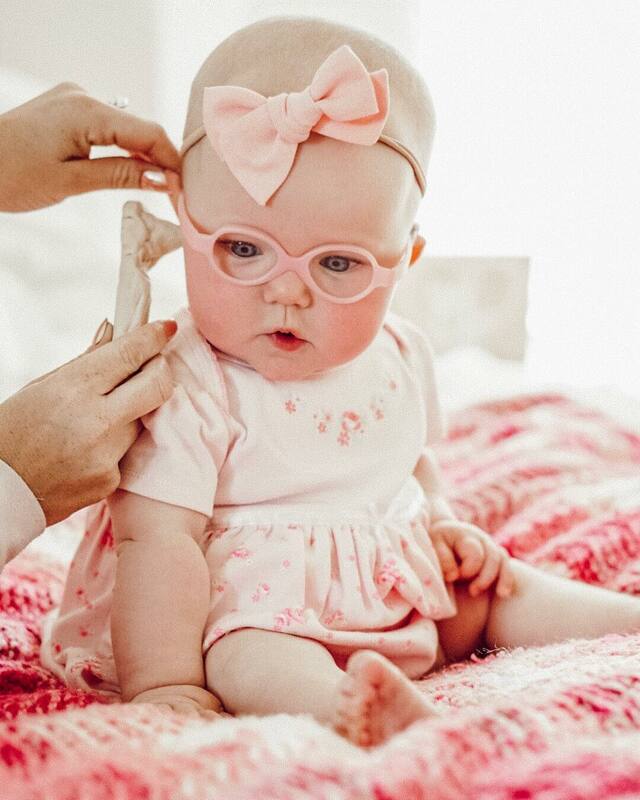 Not only is this baby a pretty girl, but she is now also very famous. The video with her reaction gathered over 18 million views on Facebook and over 13 million views on YouTube. 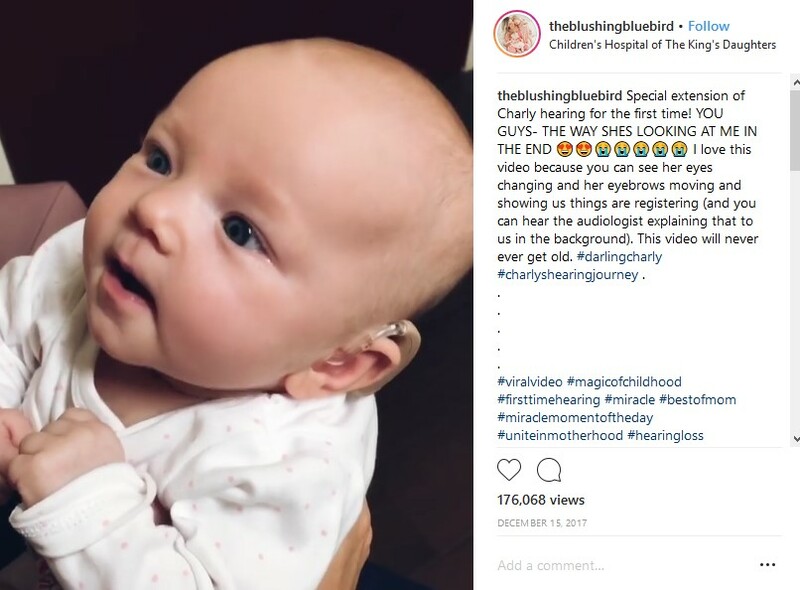 She is ever present on her mom’s Instagram account – theblushingbluebird. But wait, there’s more to the story! Charly got cochlear implants to get used to them before getting to the age of 3. 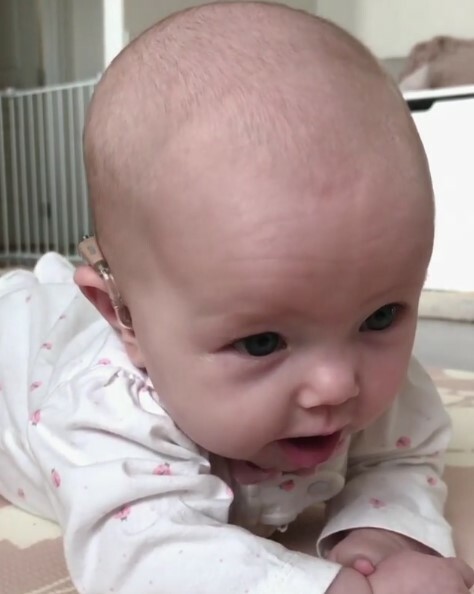 According to experts, babies under three that can benefit from hearing helps them better developing and building neural connections. 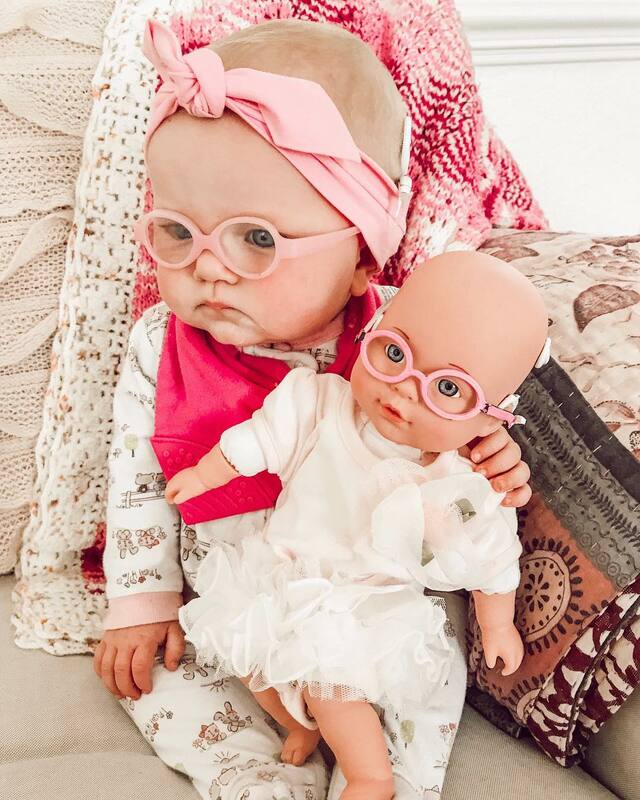 On her Instagram account, Keane wrote: “Our brave little darling Charly is out of surgery and bilaterally implanted!! !” Last week the baby finally heard again after a few weeks of waiting for external processors. She then heard her mom again! 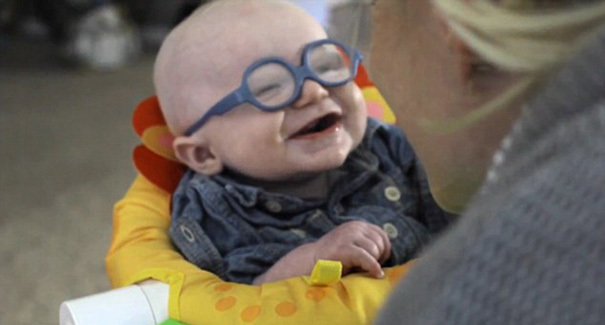 The same beautiful reaction can be seen in these next images when this baby smiles and giggles after he finally gets glasses to see his mom. His reaction pulled at everyone’s heartstrings! The YouTube video only lasts for 30 seconds, but it has gathered more than 2 million views. 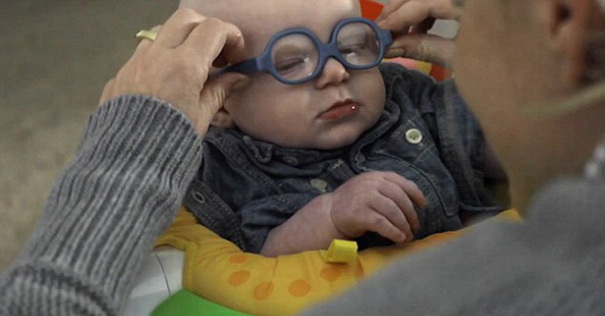 Leopold Wilbur Reppond, the 4-month-old baby, gets his first glasses and sees his parents clearly for the first time. “Hi lovey, honey, sweetie. I love you!” says his mother Erin Reppond. His father filmed the touching moment, and we’re more than certain that he wasn’t holding back his tears. 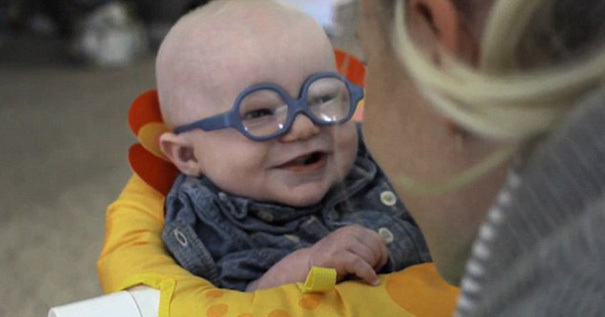 The little boy just received his glasses, and he is delighted to see the world and his mother for the first time. He grins ear to ear and opens his eyes to take everything it.